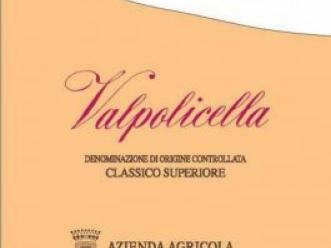 A great value in Amarone. It actually tastes like an Amarone for $26. Deep ruby/purple in color. The nose is dusty with cherries and slight dried leaves. On the palate, a nice combination of sweet black cherries and sour cherries. Also some underlying crushed leaves. Good acidity. Light tannins. This might not make old bones, but for this price, it would be fun to lay a bottle down and try. In any event, this should be good for 5 to 7 more years. Ruby in color. At first there seemed to be some TCA on the nose, but that blew off after about an hour. TCA, however, does not blow off, it gets worse, that must have just been some bottle stink of some kind. Eventually, it showed nice cherries with some nutmeg. On the palate, this has plums and slightly sour cherries. It is a bit candied as well. Clean after about an hour. Good acidity. Not sure if this was a proper bottle but it was nice. Retails for around $50. Purple in color but the sheen is flat. On the nose there is some VA here. Black cherries, some damp tea leaves, a hint of cigar box and slight funk. Old but nice. On the palate, this is much more alive. Complex and deep. Black cherries, cherries, slight prunes with slight tannins. Also some underlying decaying forest floor. Good acidity. Nice finish. Worked better with some cheeses. Probably varies from bottle to bottle but I would think this has five years easily and maybe more before slowly sliding downhill. This showed quite well and was quite well received. Purple in color, with some ruby swirls. The nose is dusty with cherries, black cherries and baking spices. On the palate, this has fresh cherries and black cherries. It is slightly sweet/ripe. It did take a few minutes to open and then kept opening. There is an underlying forest floor note. Good finish. Very food friendly but drinks well on its own. Has a decade left in it.